Because Thierry wasn't born here, we did some traditional sight-seeing such as the Eiffel Tower, Notre Dame, Montmartre, etc. These pictures were taken in the Fall of 1999. City hall as we drove by at breakneck speed. 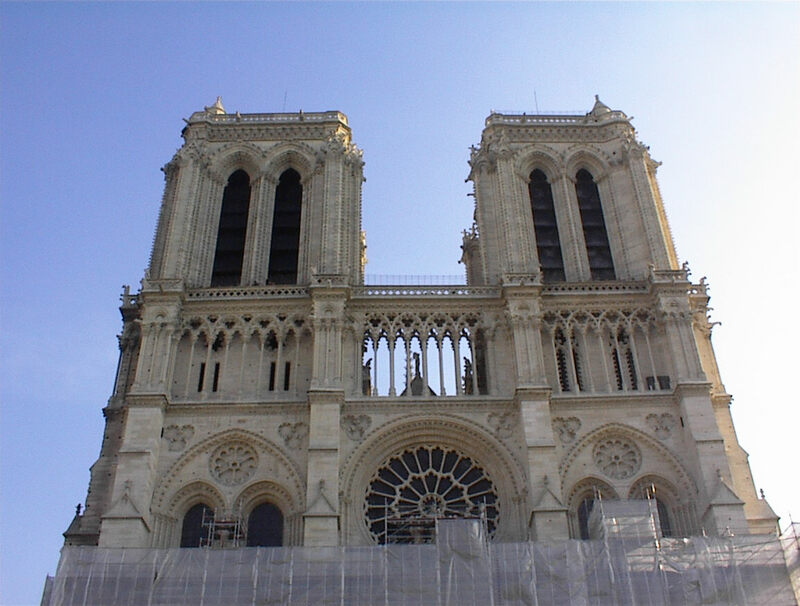 No hunchback, but the cathedral was wearing scaffolding and a skirt the day we came. Saint Pierre behind Sacré Cœur (the white stone to the right) and the Place du Tertre where the kitch artists hang out. Paris on an empty stomach? The Tower. Thierry points out where we went. Trocadero as seen from the Tower. Arc de Triomphe dead center as seen from the Tower.